A Mickey Mouse first birthday party for my 1 year old son. I made all of the decorations for this party; including the "Happy Birthday" Banner, Mickey Mouse Centerpieces, "I am One" Banner for the high chair, the balloon garland for the ceiling, the monthly pictures banner and the pom poms for over the food table. Get a head start making the decorations and buying the supplies you'll need for the party. 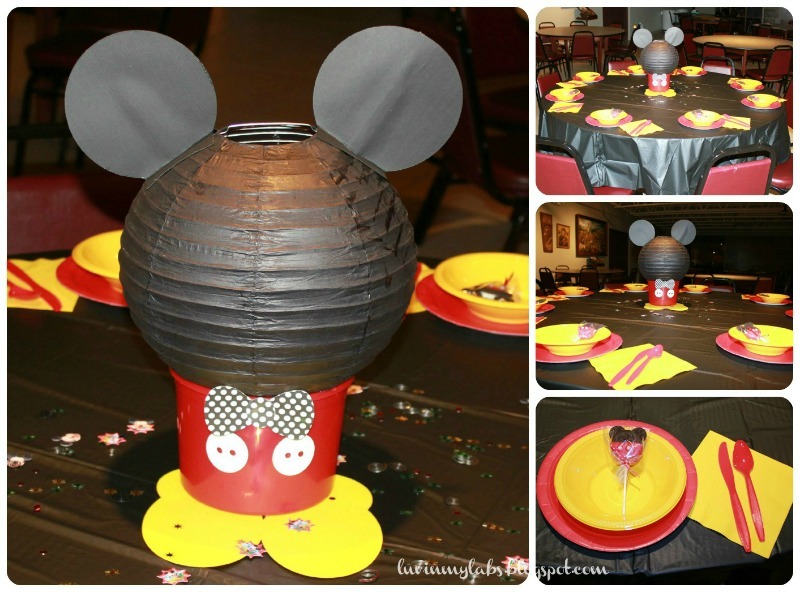 The Mickey Mouse centerpiece using a black paper lantern is very creative.